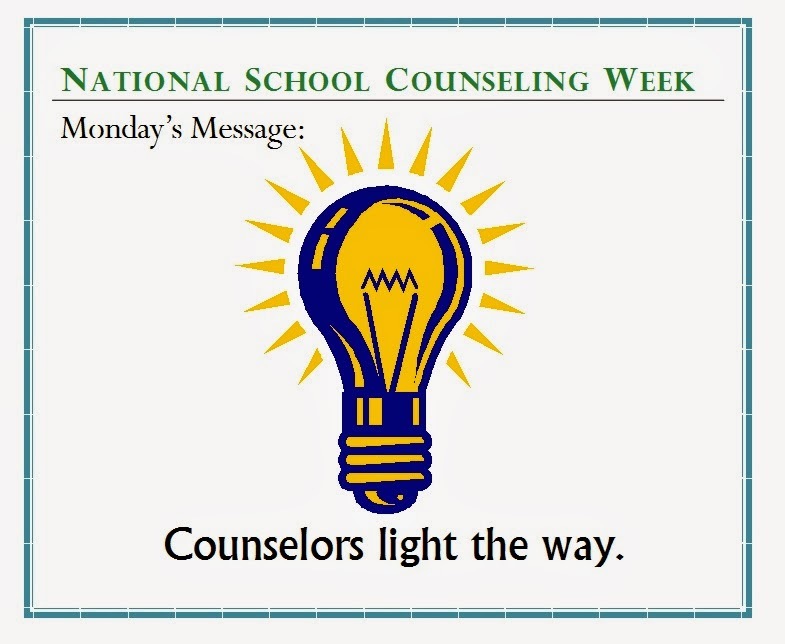 Happy National School Counseling Week 2014! To start our week off, I made small notes for everyone's mailbox. The picture above is today's message. In addition, I will be going into lunch periods to mix and mingle with the students. For them I have this Word Scramble. I'm asking students to return it completed to my office by Friday and they will be entered in a drawing for some prizes. I have a stash in my drawer just waiting to be handed out. 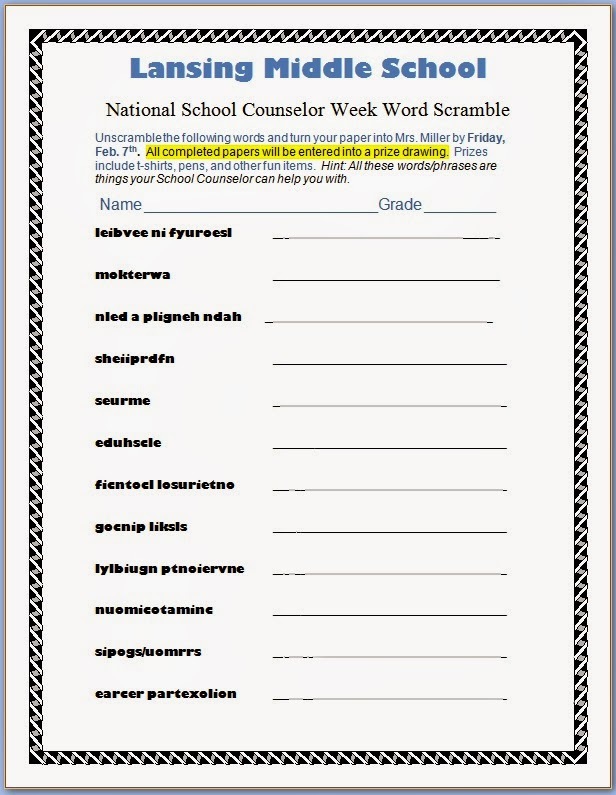 For National School Counseling Week I have messages planned for everyday. In addition I have some other treats planned for our faculty. I don't want to ruin the surprise, so make sure to check out my blog to find out what I planned for the day.